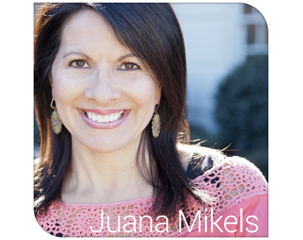 JuanaMikels.com: A Word on Asking God & Wednesday's Prayer Girls & Link-Up Party! A Word on Asking God & Wednesday's Prayer Girls & Link-Up Party! God is pleased when we come to Him with a request! Like a parent who wants to give to His child, God likes the process of our asking. Even when we ask for things that God already knows we need, He is pleased, because our conversing with Him deepens our relationship with Him. P.T. Forsyth wrote, "Love loves to be told what it knows already.... It wants to be asked for what it longs to give." Sometimes we almost unconsciously allow ourselves to think that it is not spiritual to ask for anything from God, but that is not true! We incorrectly think that the loftier prayers are those that just focus on God alone, and not our own needs. But Christ in the prayer of prayers when He taught the disciples to pray included, "Give us this day our daily bread." He knows our lives are very.... well.... daily! We have needs every single day. Food! Clothes! Shelter! Safety! Work! Relationships! And the list goes on. We serve our giving God who wants to give. Let's remember to ask! What is it that you need today? Will you ask God and talk to Him about it? Will you ask a friend to pray with or for your needs? Can I pray for you? I love to set Wednesdays aside on the blog to pray for you! It's Wednesday, so let's pray! Post your non-confidential request in the comment section, located below my signature. You may be anonymous or share your name. God knows your need even before you ask, but loves to have Christians rise up and seek Him! Christian bloggers, please share your blog links. May the light of Christ shine on the road called Internet! So please share your wholesome blogs with us on your God-inspired passions, and enjoy hopping blog to blog as we learn from and pray for one another! My son John is flying home today (Wednesday) from working (a ton of hours & hard earned sweat!) for the USGA for the US Golf Open for 2 months. Please pray for safe travels & for a good transistion home & for him to know how much he was missed & is loved! Praising God for this opportunity for John to work hard & earn income in an area of passion (golf!). Will be praying for both our sons today as mine returns from his honeymoon :) I loved the quote from Spurgeon that you shared in today's post. I have written it down on an index card so as to keep it in front of me on my desk. Thank you for hosting this link-up as well. It is a blessing! Hi Joanne! Thank you for praying for my son! He is on the first plane right now that just left Philadelphia! One more plane to go. He just wrote the dearest note full of thanks for the opportunity he had this summer, and the memories and friends he made. God truly blessed him through his work this summer. I want all our children to know the value of hard work!! Wow, your son is returning from........his honeymoon!!!! !Now that is a call for rejoicing! How important is their life partner!!!! Oh Father, God, we are rejoicing for how you've blessed my son with work this summer & Joanne's with a wife! We know that all good gifts are from You, Father. We lift them up not only for travel mercies as they arrive home, but that this will be a new beginning. Will you keep the things that You have stored up in their hearts in their time away to make them changed people when they return? More like You? Conform them dear Lord, to your Son's image. All of our hope is in You Lord for our families. May are sons be strong men of God who are willing to identify with Your Son and Your name! Amen. Prayer request....please pray for wisdom and guidance as we deal with some spiritual issues with our son. Hi Jennifer! Let's pray for your family. Loving Lord, we know that you came up with the idea of a family. You gave children parents. 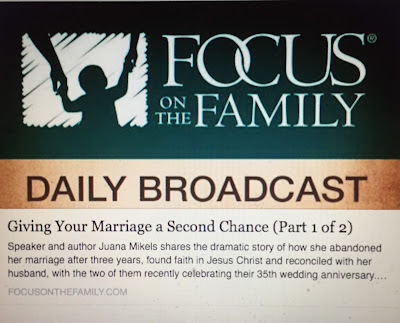 Give Jennifer and her husband your mind on the spiritual issues that are going on with their son. All wisdom is from You! I can tell that Jennifer and her husband fear You, not in a scared way, but in an awe of You way which You say is the beginning of wisdom. Guide them with their son Lord, Amen. This is my first visit to your blog. It is a feast for the soul. You have my prayers for safe travels for your son. Yea! Wednesday is here again! My favorite commercial right now is Geico Hump Day with the camel. It is too funny! I love that we can ask God for anything, but sometimes I feel that I ask for too much too often. You know I can be quite needy. :) I bet no one else has this problem. Prayers for Stuart as he travels to Nashville today for the weekend, Cameron and continuing struggles, and for all my neediness. Lots of little things right now, that can feel major. But all our needs are met. Also prayers for N & D, two girlfriends struggling with divorce and all its issues. Hi Jana! reThat ad sounds funny;-) Don't you love Matthew 6:8 where we read that God knows what we need before we ask? Yet, he wants us like the child/parent relationship to come to Him? I know I love it when my children just want to talk with me (which we need to scoop up when we can, don't we?) All of us are needy, Jana. We need the Savior! Let's pray for Sutart and your boys. Heavenly Father, tonight we lift up Stuart to you as head of the Hagan family. Reveal yourself to Him as he travels and is in Nashville for several days. We ask for his safety, but more than that, use this time away as You desire for him. Guide Cameron's decisions and life, and may he seek You above all. 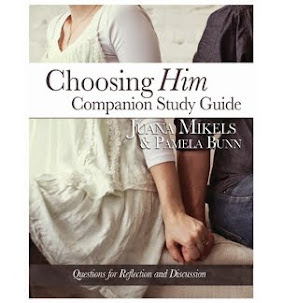 Help Jana in so many little areas to hear Your voice, and to single Your voice out through Your word. May all her confidence be in Your faithfulness. You know who her 2 friends are who are facing all the fallout from divorce. May you show them Yourself right in the middle of the pain, and help them to place their complete trust and hope in you & to know that the future with You is bright. Amen. I often battle with this! When I look at all the great need around me daily, I can easily feel so guilty about all my blessings! Thanks for reminding us. Hi Mia! There is so much need around us, isn't there? Yet Jesus still wants us to come to Him with the things on our hearts, doesn't he? He's that kind of a personal God! It would be easy to skip praying for God to "give us our daily bread" (needs), saying there are so many with such harder circumstances, but the enemy can use that so that we don't take time to simply talk with God about what's really on our hearts! I think of Jesus saying, "The poor you will always have with you, but you will not always have me." (Matt 26:11) He wants US, you, and me.... isn't amazing how He can pierce our very heart and not too busy somewhere else! He is our omniprescent God who can be everywhere at once! So we need never compare ourselves to others when going before Him, we just need to seek Him! You've said this so beautifully. God loves it when we commune with Him. I love the quote you used from P.T. Forsyth. My blog post today, 'Prayer at the Throne of Grace' also deals with a similar subject about prayer. Will say a prayer for your son as well. Hi Cathy! Thank you for writing me a note today. I love your thoughts on books sight, and Sunday afternoon I spent time on your site (which I've been wanting to do for some time) to take notes on future books to read! Your site is bookmarked, Sister! I love how much you read great books, Sister! I looked for Josiah Hensen's book yesterday at the library & they didn't own it, so I ordered it this morning. Keep up the great work for Christ! Your post today must be digested in bite size pieces, it was so rich! Like a gourmet piece of chocolate! Love, Juana Thank you for praying for my son, John. His plane was delayed & missed connection so he is coming tomorrow on the 2nd plane. Hi everyone! I'm looking forward to coming back here in about an hour to pray with each of you as I reply to you respectively. I just cut grass, showered, walked dog (felt sorry for him that he has not left yard in 2 days!) & showered:-) Getting ready to read aloud next chapter in The Tinker's Daughter to Mary & will return. I love you all! 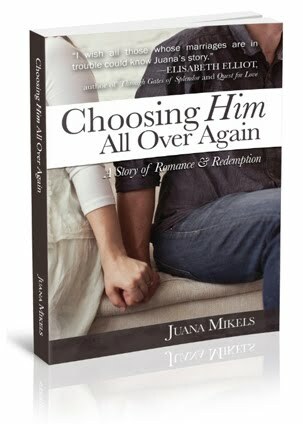 Hi Juana, I am so enjoying your blog today! Please pray for my DD for the spiritual battle going on within her 13 year old self and for her transition with school. Pray that God's light would push back the darkness. Thanks you, so much. I am hoping to link up with your Wednesday Link up. Hi Dawn! I'm so glad you wrote! Nice to meet you! I'd love you to link up. It opens every Wed and stays open for several days to link up. Yes, Lord Jesus, we pray for this precious 13 year old girl would hear your voice among all the voices calling. May she be filled with thoughts of You, Lord, & Your Truth. We know that You in her is stronger than the darkness. All of our hope is in You. Amen.